"At once iconic and specific, Emma Straub's beautifully observed first novel explores the fraught trajectory of what has become a staple of the American dream: the hunger for stardom and fame. 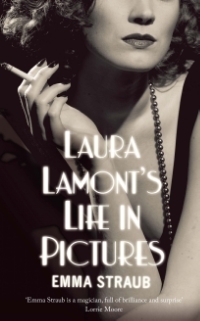 Laura Lamont’s Life in Pictures affords an intimate, epic view of how that dream ricochets through one American life." "An exquisite debut novel that brings Depression-era Hollywood to life with startling immediacy. Laura Lamont is a memorable character, and Emma Straub illuminates her inner life with uncanny authority."